The first time the Rev. Kelly Chatman stepped into the pulpit at Redeemer Lutheran Church 17 years ago, he looked out at his new congregation -- 30, maybe 35 people at the most -- and got a sinking feeling in his stomach. “I wondered if I had made a mistake,” he said recently. After 25 years spent mostly in education and church administration, Chatman had decided to try his hand at being a local church pastor. He had walked away from a prestigious and comfortable position as the director of youth ministries in the Evangelical Lutheran Church in America’s Chicago headquarters to take over a struggling church in a distressed neighborhood in Minneapolis. Many years earlier, he had served briefly as an associate pastor in Oregon, but this time he was heading his own church. And it was not an auspicious beginning. On his way into the building that morning, he couldn’t pretend that he hadn’t seen the drug dealers doing business on the corner across the street. Soon, Chatman changed his perspective. Billy Johnson from Olivet Lutheran Church, a partner congregation, (left) joins with Kelly Chatman at the 2017 Redeemer block party. Who is “the congregation” at your church? Can a congregation include those outside the church’s walls? And what a presence it has become. Redeemer, through its nonprofit community development organization, Redeemer Center for Life, literally owns, if not the street, the entire block the church sits on -- and more. More importantly, it has had an extraordinary impact on the lives of people in the Harrison neighborhood of North Minneapolis, a racially diverse, mostly low-income area near the city’s downtown. What is your church’s presence in the neighborhood? For whom is it a beacon of hope? Over the years, Redeemer and the Redeemer Center for Life have launched a cafe, a bike repair and coffee shop, a 16-unit apartment building, another seven apartments over the cafe, a home that houses Lutheran Volunteer Corps members, and a storefront that has been converted into the Living Room, a gathering space for everything from health clinics to civic meetings. The church also has built two single-family homes that were sold as part of an effort to support affordable housing. “Between Redeemer Church and Redeemer Center for Life, we’re responsible for more than $1 million in economic activity in this neighborhood annually,” he said. 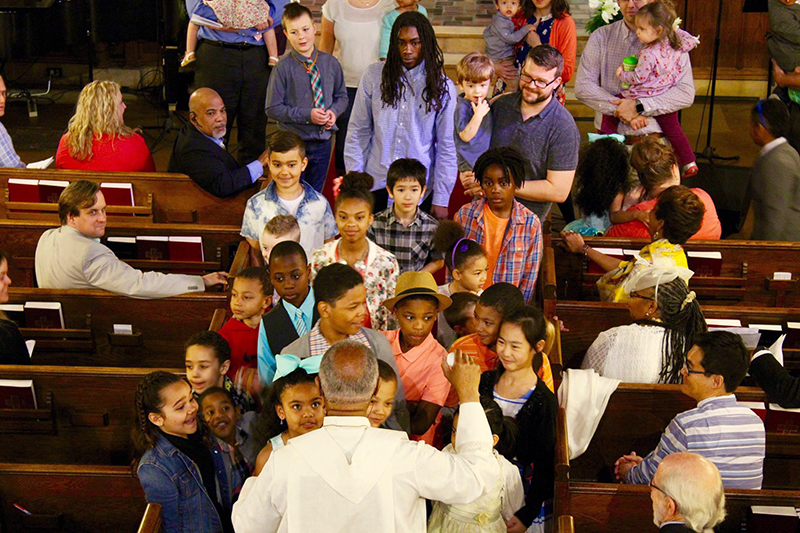 As for the church itself, worship is livelier and more crowded than it was on Chatman’s first Sunday, but the neighborhood continues to be Redeemer’s primary focus. About 90 people now attend Sunday services, and 250 are listed on the church’s membership rolls, but Chatman still insists that the congregation is more than just the Sunday faithful. “There are people in this neighborhood who call this their church who have never been inside the building,” he said. What does it mean to be church for those who don’t attend worship? Some of those neighborhood residents have plots in the church’s community garden, where they grow produce, helping keep the area from becoming a “food desert,” lacking affordable nutritious food. Some come to the biweekly cookouts around the church’s outdoor pizza oven, where volunteers bake pizza and breads (all ingredients provided) for visitors. And some -- more than 800 this year -- come for the church’s annual block party. 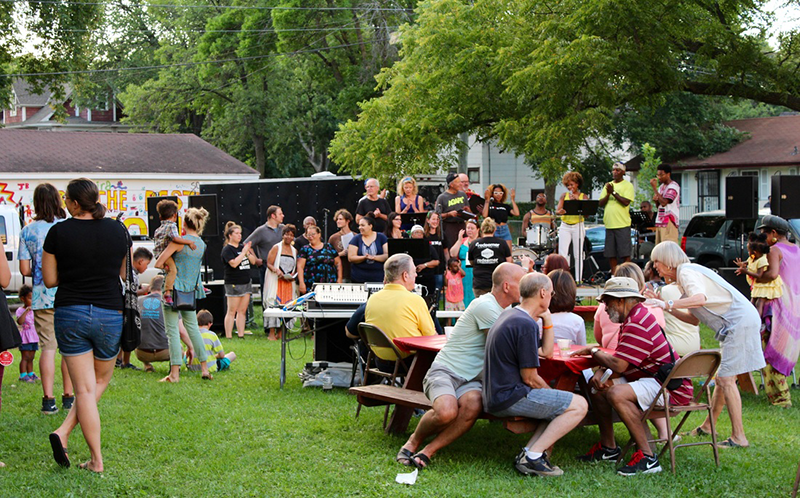 Good music and good food are hallmarks of the annual Redeemer block party. 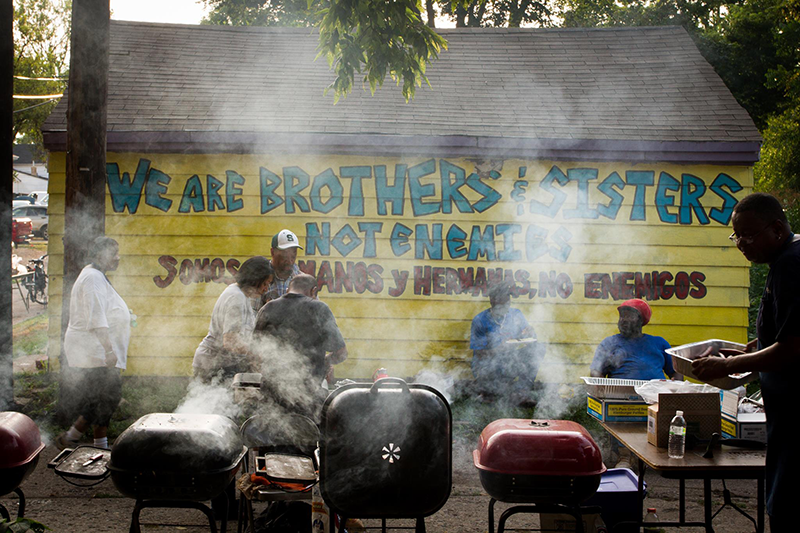 And as for the drug dealers, Chatman years ago invited them to the cookouts, too. But they declined and decided to relocate outside the church’s sphere of influence. Redeemer may not at first glance look like the model of a thriving congregation. It has an older, traditional sanctuary, with services that follow a standard Lutheran liturgy. And Chatman is far from a fiery, arm-waving, spell-binding orator. On the contrary, when he preaches, he stands between the two front pews, delivering his sermon in a casual fashion that is closer to a chat than a formal address. What does a "successful" church look like? “I was taught to preach in a pulpit reading from a manuscript,” he said. But he noticed when preaching at Redeemer that every time he looked up, he got little if any eye contact from the congregation. So he moved out of the pulpit and started memorizing his message -- or most of it, anyway. “Every week I forget something,” he said. "We are brothers & sisters, not enemies," proclaims this colorful facade, painted in July by volunteers from the Kansas City Lutheran Youth Coalition. Mention the church’s growth to Chatman or the members, and they shrug it off. Redeemer Lutheran is not the kind of church that holds meetings to dream up ways to increase Sunday morning attendance. They use their meetings to discuss ways to better serve their neighbors. 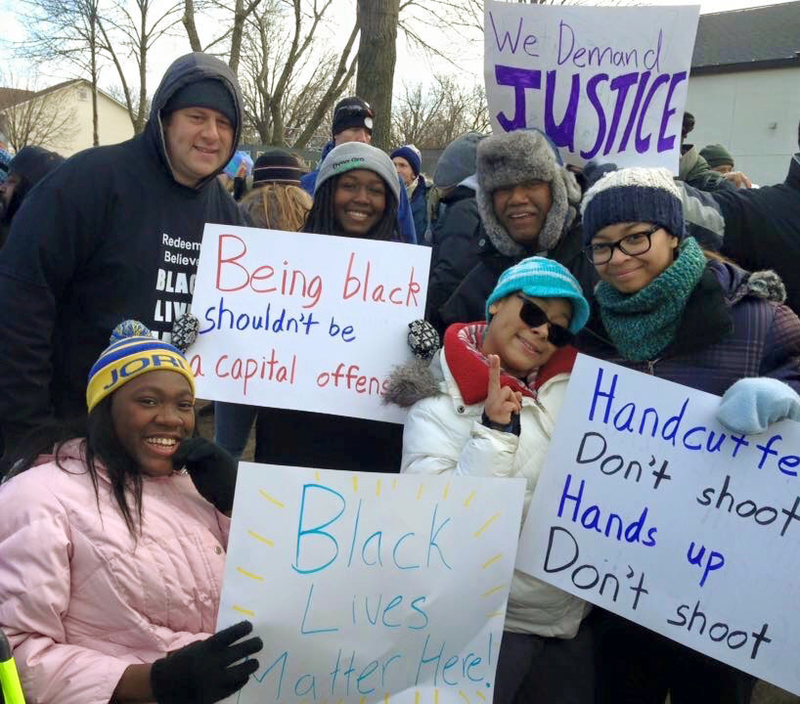 Kelly Chatman (in grey hat) and members of Redeemer's Black Lives Matter Coalition attend a march in December 2015. Chatman is happy to lead tours of the church campus -- one entire square block plus properties on two adjoining blocks -- but he makes it clear that his pride is shared by many. The Redeemer Center for Life acquired its first property not long before Chatman arrived in 2001. It was a new building to house Milda’s Cafe, a small but very important eatery across the street, a neighborhood fixture since 1965. The church didn’t have any money, but it did have a parking lot where they could put a new building to house the cafe. They found a suburban Lutheran church that was willing to partner with them. Redeemer provided the land, the suburban church provided the money, and a new Milda’s took root. What non-monetary resources does your church have that can be leveraged for the benefit of the surrounding community? He’s also very good at negotiating partnerships. Both the church and the Center for Life boast diverse lists of partners, from other churches to health service providers to housing coalitions. “We may not be rich in money, but we’re rich in commitment and values,” Williams said. The focus on service to people in the neighborhood has given Redeemer a relevance that many young people are seeking and has helped draw new people to the church. While the congregation does have its share of older members, it also has many young families. At a recent Sunday service, so many kids came forward for the children’s message that they were jockeying for places to sit. Children at Redeemer Lutheran fill the aisle to hear a message from Kelly Chatman at the 2017 Easter service. The congregation is diverse. Part of that is simply a reflection of the neighborhood, which is 39 percent African-American, 25 percent white and 16 percent Asian. But the diversity goes beyond skin color. Redeemer was one of the first churches in Minnesota to conduct gay marriage services. Worshippers range from retired executives to people who have no permanent address. The church places a high priority on the neighborhood’s African-American heritage. Although the attendance at Sunday morning worship services is about two-thirds white, “the people who come here during the week are 98 percent black,” Chatman said. Through that and other programs, the church has earned a reputation in City Hall as a voice for change. “We are a force to be reckoned with,” Chatman said. As part of the church’s racial and social justice efforts, Chatman often finds himself working to bring people together -- a gift that he calls “doing my pastor thing.” Sometimes that’s hard. In 2015, a 24-year-old black man, Jamar Clark, was shot and killed by two Minneapolis police officers. Witnesses said he was handcuffed at the time. Protests exploded across the city, including one organized by a Black Lives Matter group based at the church. How can your church bring people together who are divided and apart? Later, Chatman suggested that members of the police department be invited to the next pizza oven cookout. 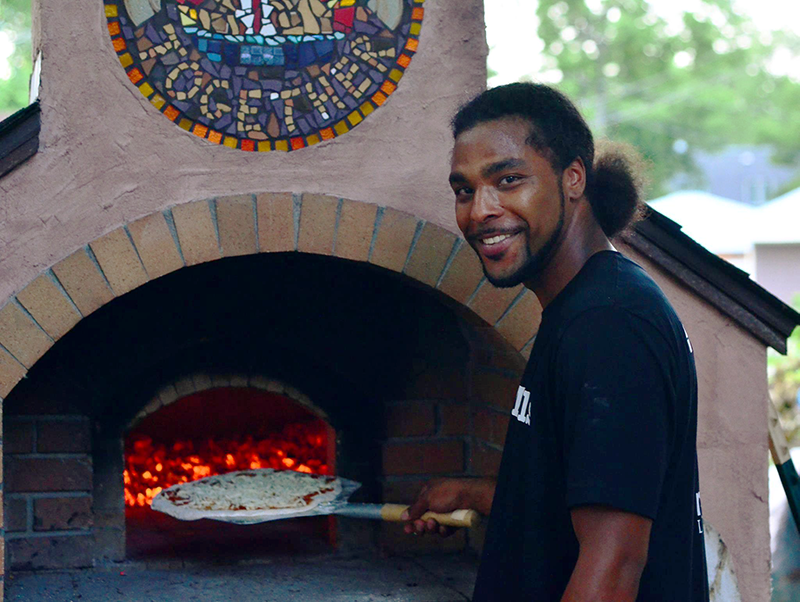 An outdoor pizza and bread oven located on the Redeemer Lutheran Church campus is a popular neighborhood gathering spot. The church and Redeemer Center for Life enjoy a close relationship, with Chatman overseeing both. When the center was started in 1998, 20 percent of the board members were representatives of the church, but it had a separate executive director. When that person left in 2002, Chatman agreed to step in on an interim basis. After six years, he did manage to hand off the reins for a while, but it wasn’t long before he was back overseeing both the church and the nonprofit. In recent years, Redeemer has become concerned about the prospect of gentrification. The Harrison neighborhood abuts downtown Minneapolis, which changed dramatically after the Minnesota Twins opened a new stadium there in 2010. Since then, the area near the ballpark, once home to strip clubs and old warehouses, has evolved into one of upscale condos and tony microbreweries. The gentrification hasn’t yet reached the church (which is about a mile from the ballfield), but it’s clearly creeping in that direction. Redeemer and the neighborhood, however, remember the area’s origins. “That was an insult. They couldn’t even spare a regular ‘For Sale’ sign? And a spray-painted sign in a black neighborhood? They were just playing to the graffiti stereotype.” The Center for Life bought the residence, which it now uses to house Lutheran Volunteer Corps members. 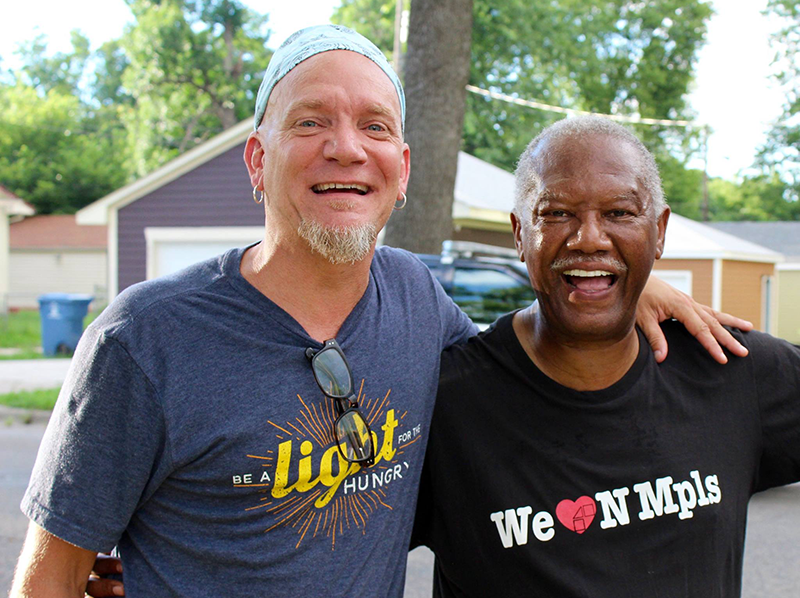 Chatman is 67, and while his retirement is not imminent -- Minneapolis is hosting a national ELCA youth leadership conference in three years, and he wants to be involved -- he said that he probably won’t work much beyond that. Organizations that rely heavily on a visionary leader often flounder when that person steps aside, but Chatman said that won’t be a concern at Redeemer. What does it mean to be church for those who don’t attend worship? Is worship attendance required to be part of church? How does Redeemer Lutheran challenge your understanding of what a successful church looks like?